When searching for a new home often one of the main deciding factors is where the home is located. Staying within school districts, ensuring you have a short commute, staying close to your favorite shops and restaurants, the list is endless. With so many things to keep in mind it is certainly an import step to ensure your new home fits into your desired neighborhood. If you are starting your search in the Louisville area you are in luck! There are more than 15 small neighboring areas that are available for you to browse. Each offers it’s own unique features making sure that you are guaranteed to find the home of your dreams in the perfect location. We will be diving into 5 of these neighborhoods to help break down some of the main highlights each has to offer. 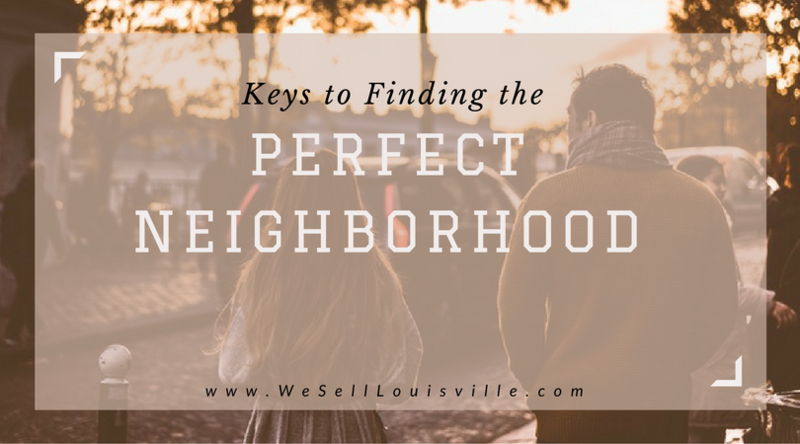 This will help you find that special new place to call home in that perfect spot on the map. Springhurst: With shopping close by, Springhurst is the perfect place to gather with friends and family. Springhurst offers a great school district and is perfect for all of the adventure your family desires with it’s many outdoor activities. Polo Fields: If you are looking for an upscale luxurious home, this is the place for you! Featuring an 18 hole golf course, crystal clear swimming pool, tennis courts, walking and jogging tracks and maintaining beautiful grounds, Polo Fields is by far a country club you would love to call home. Lake Forest: With school districts specializing in technical skills and running a great sports program, Lake Forest is a great place for families to call home. Load on up and enjoy one of the many activities Lake Forest has to offer. From hiking through beautiful trails and playing volley ball at your leisure, you won’t regret your choice to make Lake Forest your final destination to call home. Douglass Hills: Slow down and take a load off. Douglass Hills gives off a charming Country vibe with a picturesque view of beautifully crafted homes and manicured lawns. Grab some hiking shoes and spent the day exploring a state park! Mockingbird Valley: Kick your shoes off and relax by purchasing your next home in Mockingbird Valley. Surrounded by natures beauty you can live a serene life filled with the sounds of birds chiming and chirping. Make your home a vacation retreat you never want to leave and enjoy the tranquility of your new home! Don’t limit yourself and always dream big! It’s easy to see why so many people have chosen the Louisville area to call home. Offering everything from a slow moving laid back country lifestyle to a life in the city where you’ll never miss a beat, Louisville has something to offer everyone. There are so many great places to plant your roots around the Louisville area. Once you’ve decided which area fits your desires get ready to start the search for your new home. Begin your journey today and contact an experienced agent to help you get started.